“Disengaging” is a somewhat softer word for saying goodbye. But in the end it means the same—we are pulling away from something to which we have been committed. Everyone has to find his or her own way to disengage when the time comes. For us it meant saying goodbye to some treasured people and walking away from something after investing much of our time and a large amount of heart into putting it together. It was a missionary assignment we gladly accepted and gladly completed. Disengaging takes time. The last few weeks in Guatemala are packed. One Sunday we are in the small chapel below the Guatemala City airport meeting with the little branch congregation—maybe 100 people—we have grown to love. 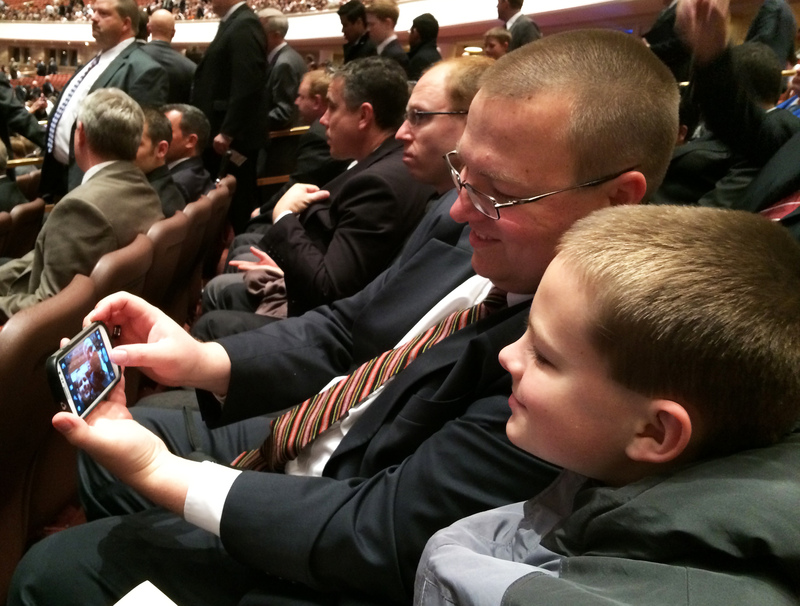 Six days later, I am in the Conference Center of The Church of Jesus Christ of Latter-day Saints with the son and grandson I have not seen in months. The building is filled to its capacity of 22,000, and this is my grandson’s first time in one of these meetings, since he has just reached the age when young men in the Church are ordained to the priesthood. The contrast could hardly be greater. The transition is aided a bit by the visit of friends from Guatemala, as we share with them places and activities we love in this area. Still, there is a certain surreal quality to waking up here again. This is home—the place where we have gone about our lives for so many years. And yet it is not the place where we have grown used to waking up and going about our daily routine for the past 18 months. 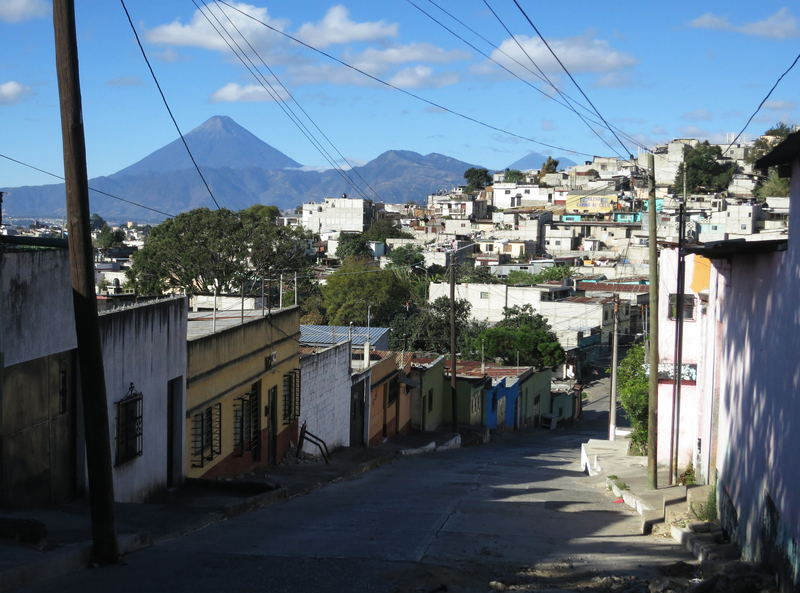 In my mind, I resisted calling the apartment in Guatemala City “home.” But there are people and places and daily activities that I miss already. Now it is our time to engage again, with our family and others. It is time to try to be a productive part of other lives, to try to help others of our Heavenly Father’s children grow and be happy if we can. We have left behind the calling we were given, having done what we were asked to do. Now it is a time to find other worthwhile ways to spend our days. What to do with our time now that we no longer have a day-to-day assignment? The solution seems to be the same as it has been for the past 18 months: “Lord, please help me to see someone to help today.” Please help me to find a way to make a difference for good in someone else’s life, beginning with my family close by, and extending to anyone else thou wouldst have me reach somehow. Please help me to see useful ways to serve Thee. 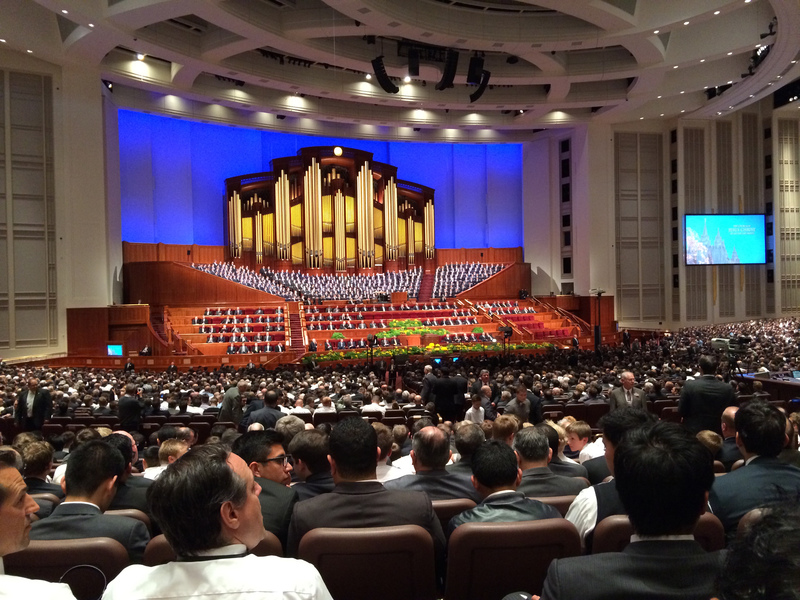 This entry was posted in Faith and tagged conference, Missionary, service, serving, The Church of Jesus Chriist of Latter-day Saints on April 11, 2014 by Don L. Searle. Guatemala’s rainy season is settling in, and it’s a wet night in the city. Nevertheless, about a third of the small Santa Fe Branch shows up on a weeknight for this special meeting. They come despite having to walk in the rain. Barrio Santa Fe, looking down the street from the meetinghouse. Brother X., who is 80, walked all the way across the barrio to be here. Sister A. and her husband are here, even though she is about two months away from delivering twins, and at this point climbing uphill on slick streets may be tricky for her. This small brick building with the plastic stacking chairs could fit within the cultural hall of many Latter-day Saint meetinghouses in the United States. With its louvered windows for ventilation, it can be chilly on a night like this. But tonight it is warmed by fellowship. The occasion? It is the setting apart of a missionary. This is not something that happens every month in this area—not even every year. This is an occasion for a special meeting. The stake president, leader of several LDS congregations in the southeastern part of the city, gives the young man his final interview. Then we gather in the chapel to open the meeting and sing, “Pon Tu Hombro a la Lid”—“Put Your Shoulder to the Wheel.” There are testimonies from the family, then the missionary. The stake president speaks to the members gathered here about the teaching of a prophet, Thomas S. Monson, that they should be creating missionary training centers in the home. Elder P., from Argentina, and Elder F., with family roots in Samoa, are in the congregation, here to welcome this young man into the ranks of missionaries of The Church of Jesus Christ of Latter-day Saints. View from the Santa Fe Branch meetinghouse. The stake president lays his hands on the young man’s head and by virtue of priesthood authority sets the young man apart—officially gives him the role of missionary. The young man is now Elder C. Tomorrow morning he reports to the Missionary Training Center to walk among dozens of other young men and women bound for Spanish-speaking missions from Guatemala to Peru. In a few short weeks, Elder C. will be walking the streets of San Pedro Sula, Honduras, preaching the gospel of Jesus Christ to anyone who want to know more of our Savior. All of this brings back memories of 49 years ago, when I experienced similar farewells. There is the temptation to reminisce. But, no—it is his time now. Dios te bendiga, Elder C. God bless you. I suspect you have no idea at this point what is waiting for you. I can tell you this much: If you become the disciple of Christ you have been called to be, you will experience something the great Christian writer C.S. Lewis described. God will make more of you than you ever dreamed you could be. 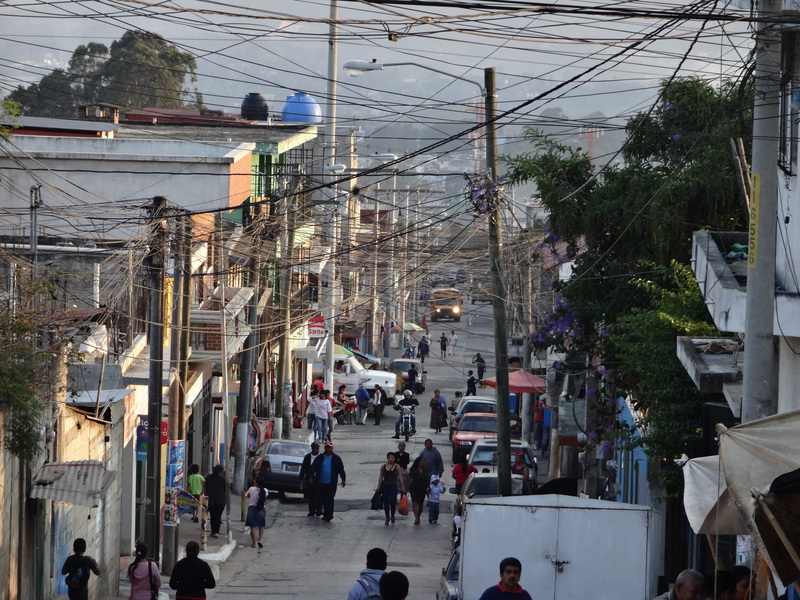 This entry was posted in Culture, Faith and tagged Church of Jesus Christ of Latter-Day Saints, Gospel, Guatemala, Honduras, Jesus Christ, Latter-day Saint, Missionary, Missionary Training Center, Mormon missionary, Peru, San Pedro Sula, Thomas S. Monson on May 28, 2013 by Don L. Searle. Can I Do Better This Time? Once before I passed this way as a teacher, trying to help others learn of Jesus Christ. I had the enthusiasm and energy of youth. I had surety—confidence not yet tempered by experience and maturity. I wish I had known then what almost 50 years of experience and testing have taught. I could have been much more effective at sharing, not simply instructing. In youth I came here knowing that I had truth to teach and that it would better the lives of all who would listen. How confidently I taught it to people older than I, who had faced much more of trial in life! Still, it was truth, and it blessed many lives. Now I have truth to share, reinforced by experience and trial of my own. And I have learned that sharing has as much to do with listening as it does with proffering knowledge. Many of the people I will meet may have much to share with me about being a true disciple of the Master. • Listen more. Let me learn of their needs, their trials, their hopes, and their triumphs. • Care more. May I learn more of true empathy. If I feel more of their fears or pain, perhaps I will know better how to help them. • Give more. Let me give more of love and strength and experience, not knowledge alone. There is an older man who comes to meetings whose hands are scrape-the-skin-off rough and calloused—the hands of a long-time laborer. He smells of the wood fires that many people here use for cooking in the home. His clothes are worn, but neat and clean. His scriptures are worn and well-used. He says little in meetings. When he prays, it is with great reverence and respect. He is quick to express thanks for the blessings of God. Undoubtedly, I have had much more education, and much wider experience in the world. But I have a feeling there is much to learn from people like him. Maybe there would be a lot to learn about teaching—and sharing. I have lived nearly seven decades now, and still I have so much to learn about being a follower of Jesus Christ. This entry was posted in Faith and tagged Guatemala, Jesus Christ, Missionary, Teaching on November 15, 2012 by Don L. Searle.